Blue Knights Blue Knights' summer tour and housing information for June 19 to July 7 is now posted under the corps' website under "Quick Links." Blue Stars Blue Stars give fans a peek into their 2013 production, "Voodoo: I Put a Spell on You," in a recent video posted to Vimeo. Boston Crusaders Boston Crusaders needs volunteers to help at their Connecticut Drums DCI Tour event in New Haven, Conn. this Sunday, June 30. The Cadets The Cadets seek an experienced mellophone player to join their tour as soon as possible. Carolina Crown Carolina Crown just launched its new CarolinaCrown TV YouTube channel, which will try to keep fans updated on everything the corps is doing. Cascades The Cascades are looking for a baritone player and a trumpet player, in addition to a few color guard positions to fill out the corps' ranks this summer. The Cavaliers The Cavaliers have extended the GearWORKS Summer Academy early-bird savings deadline to Saturday, June 29. Located in several locations, GearWORKS is an educational summer camp series for brass, woodwind, percussion, and color guard. Coastal Surge Coastal Surge celebrates the end of its inaugural season today, Friday, June 28. Colt Cadets The Colt Cadets posted a video of their 2013 debut, which took place in the Darlington Canoe Festival parade in Wisconsin. Crossmen Crossmen announced its new documentary web series, Beneath the Aussie, which features behind-the-scene footage of the corps on its 2013 summer tour. Genesis Genesis is currently participating in an International virtual DrumLine Battle against Madah Bahana University of Indonesia. Watch the two performing groups' videos and cast a vote on the DrumLine Battle website. 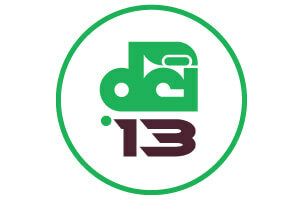 Madison Scouts Madison Scouts need volunteers to help at the Whitewater Classic DCI Tour event, coming up on Friday, July 5. Music City Music City is in need of a tuba player to join the corps on its 2013 summer tour. Applications for membership are online. Pacific Crest Follow Pacific Crest's TourBLOG podcast to stay updated on the corps' summer tour. Phantom Regiment Phantom Regiment has a live up-to-date calendar on its website, with each day's schedule, housing location, and performance time listed. Racine Scouts Racine Scouts is in the process of raising roughly $25,000 in order to purchase new uniforms. Donations to the corps' uniform fund can be sent via mail. Raiders Raiders has an immediate opening for a synthesizer/keyboard player to join the corps on its 2013 summer tour. Visit the Raiders website to apply. Spirit of Atlanta Spirit of Atlanta is seeking volunteers to work a concession stand at the Georgia Dome in downtown Atlanta as a fundraiser during several sporting events and concerts between July 20 and Aug. 31. Troopers Troopers are still in need of volunteers to assist at the Drums Along the Rockies Casper Edition DCI Tour event on Friday, July 5.